Hippie clothes. Bohemian clothing. 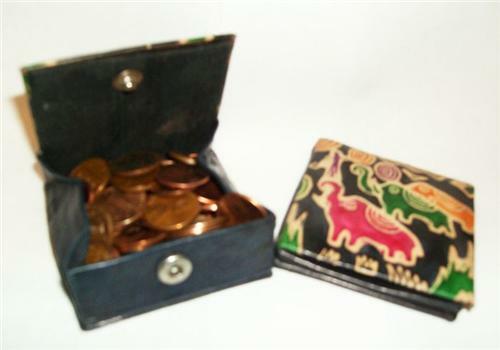 Handcrafted by artisans in India, these are beautiful leather tooled and painted coin purses. The coin purse closes with a snap and opens into a little box which makes it easier to pick out your coins. They come in a variety of beautiful ethnic designs. These come in assorted colors but you may choose the design. A unique & cool coin purse~! I bought a single Sun for myself & the Owl for my daughter. We luv them a lot. Thank you.